I don't mean to brag or anything...but Andrew and I? We make beautiful children. Ignore the spit-up flakes floating around the inside of Benjamin's cannula...and Benjamin's cannula...and Miriam's sweaty hair...and her red, hot cheeks...and the scratches Benjamin has given his sweet cheeks...and the dandruff in his eyebrows (why there? )...and Rachel's chapped lips...and the scar on her left cheek (from what?)...and...and...and... Clearly our children are pristine specimens of beauty. I'm with Michelle, no qualifiers necessary IMHO! This pictures are great! You are right. Your children are very beautiful! They are beautiful! and just for the record, i wouldn't have even noticed any of the "disclaimers" unless you'd pointed them out. pristine specimens of beauty is exactly right. You and Andrew are good at that. That 2nd to last picture of Rachel & Benjamin takes my breath away. You have beautiful babies. 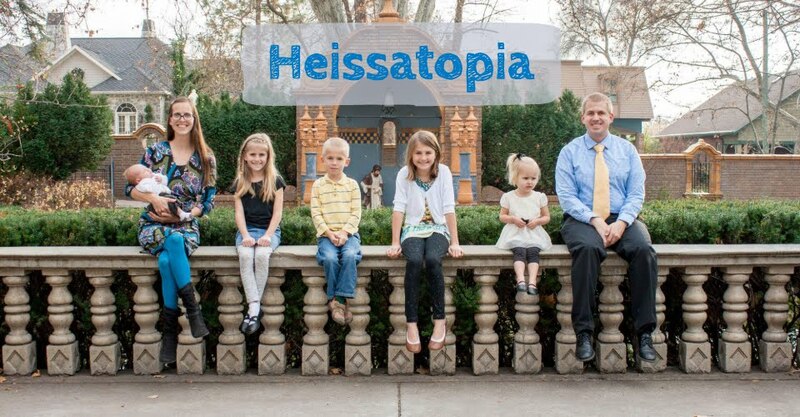 We're a family of seven living in Utah where Andrew's working as a professor of public administration at BYU. You can read more about us here. Uncle Jacob's home from Peru! Andrew and Nancy in Amman! what have we been doing all summer?! So busy.... can not catch up. What of the Ninety and Nine? Come on, you know you want to! I'm sorry for "Why I Don't Like Radio West"
Yumi dances, Aya says "Cheese!" I took another personality test! Joy! Young Women New Beginnings- Welcome Amara! The Ultimate Blog. No Rocks. The Parkers' Favorite Happy Thoughts! Still Tiny but super smart. All original content © 2006-2016 Nancy Heiss. Simple theme. Powered by Blogger.